Wiseco Tracker Series pistons were created to provide a featured, high-performance forged piston option at a more affordable price for Harley-Davidson riders available in various overbore and compression ratio options. Read on for all the details on the Tracker Series. The hallmark of American motorcycle muscle belongs to Harley-Davidson, a brand that is deeply rooted in U.S. culture. Harley motorcycles have spawned generations of loyal enthusiasts, from blue collar workers to cardiologists. It’s that “All for freedom. Freedom for all,” mentality (and not coincidentally Harley’s tag line) that speaks to gearheads and grandfathers alike. The popularity of Harley-Davidson’s vast line of motorcycles spreads beyond the modern-day Road Glides, Road Kings, Sportsters, and Softtails. Vintage Harleys are highly sought after. Needless to say, there’s a Harley for everyone, regardless of what tax bracket they’re in. 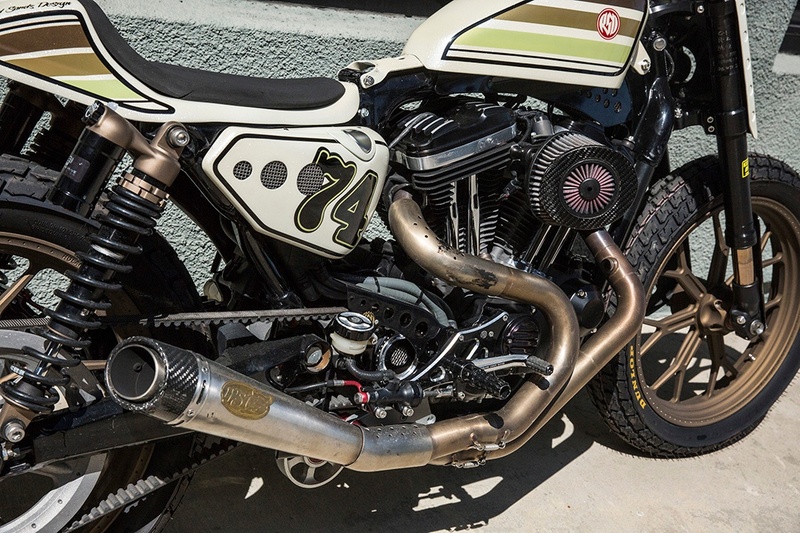 Harley-Davidsons have been the most sought after American V-Twins for years, and there's a Harley for many different walks of life, such as this 'Pickle Tracker' built by Roland Sands Design. 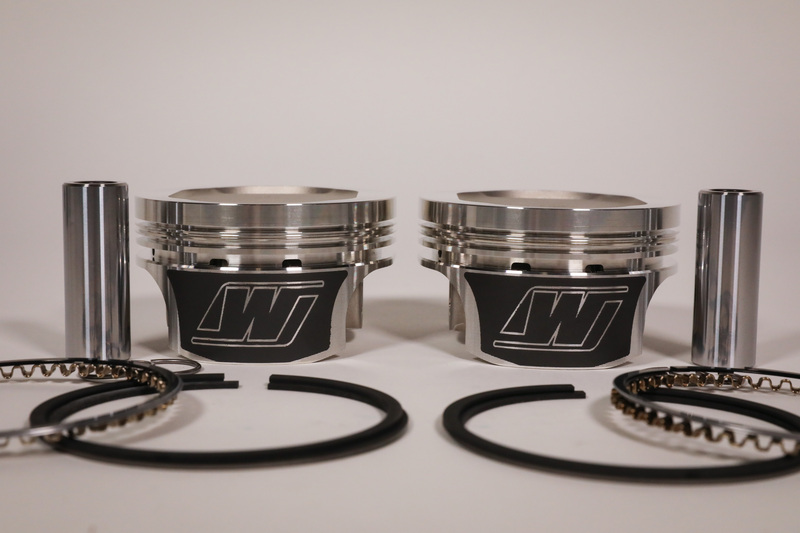 Wiseco offers highly-featured HD pistons such as Black Edition, but were missing a featured performance piston at a mid-level price point. ‘Manufactured in the USA’ goes a long way with the patriotic V-twin crowd, as do quality products and brand support. Wiseco has done all of that, and more. 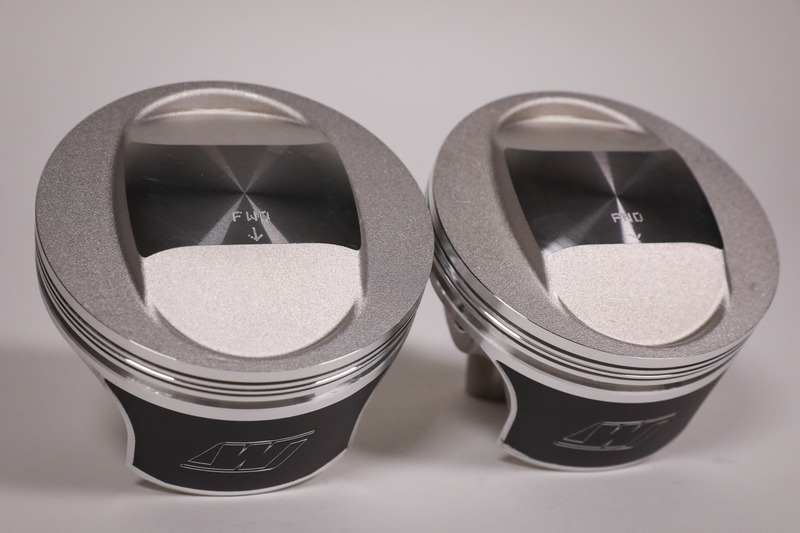 However, the Ohio-based company received feedback that they were missing a segment of the market that was more interested in a mid-level priced piston. 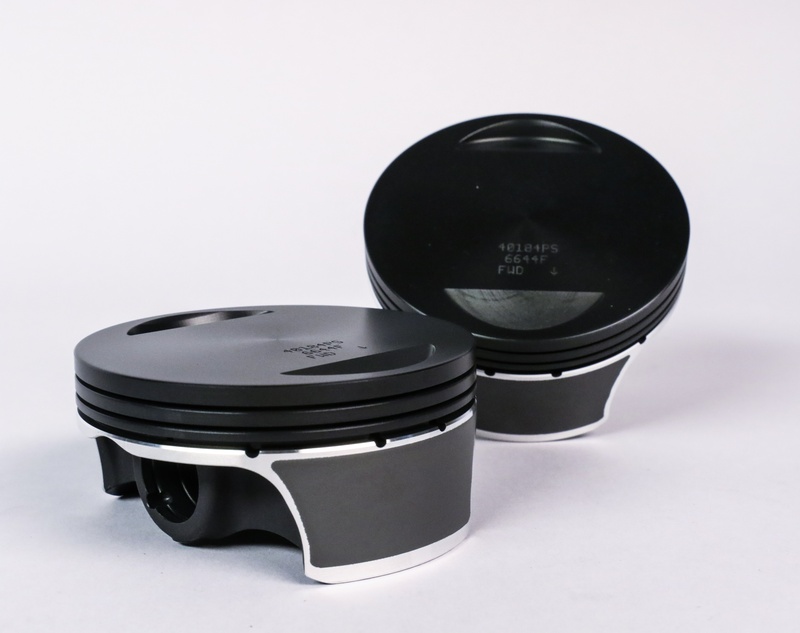 The engineering team drafted up an action plan to create a high-quality piston that was feature-rich, minus some of the bells and whistles in the highly advanced Black Edition and ArmorPlating-featured pistons. Development on the newly proclaimed Tracker series pistons began at the end of 2017, and manufacturing kicked off around April. The hurdle was to find a balance between performance and price. Wiseco’s brain trust succeeded by blending classic piston manufacturing processes with state-of-the-art techniques. The Wiseco team created the new Tracker Series piston line, a featured, high-performance piston offering for Harley Davidsons at a more affordable price point. The major challenge in this project was to decrease the end cost to the consumer. That’s where near net shape forging came into play. What, exactly, is near net shape forging? 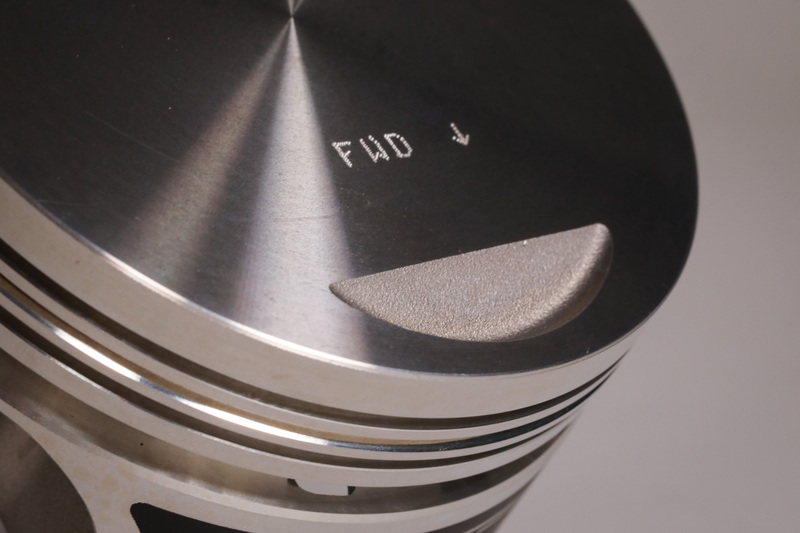 The forgings for Tracker Series pistons have crown features designed into them, so when the the piston is forged, valve pockets and any other crown designs are already complete, requiring no additional machining. Upon inspection, it doesn’t take a metallurgist to realize that different processes were utilized during construction of a Tracker series piston. The mirror-like sheen of the machined area is offset by the textured surface of the forged aluminum left during near net shape forging. Those visual differences are also noticeable on the underside of the piston. 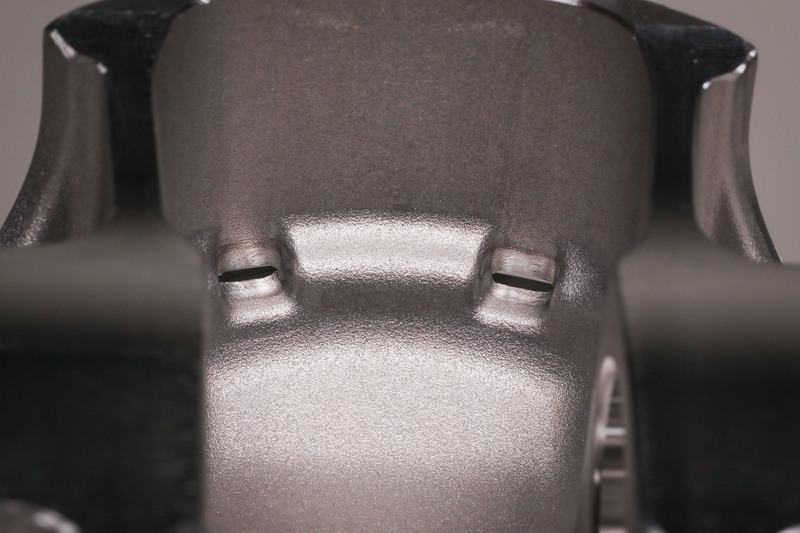 Notice the valve pockets show a forged aluminum finish because they required no machining. 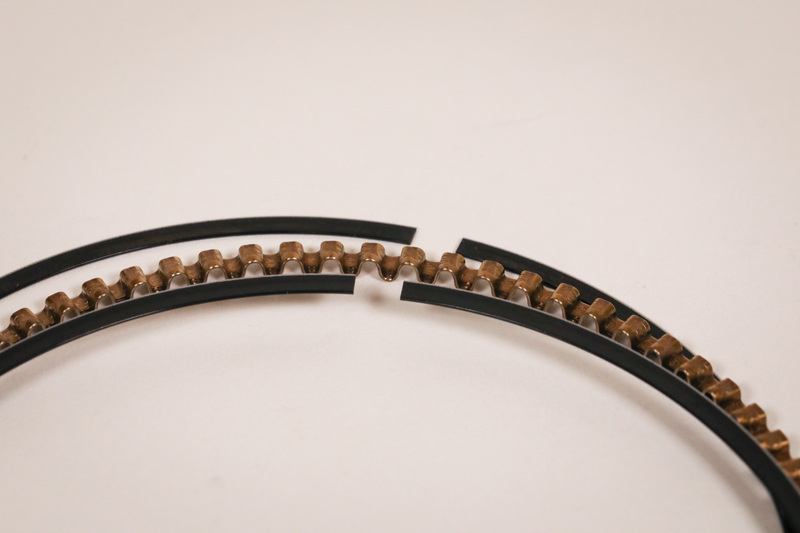 Other features, such as the oil drain backs, are also forged into the part instead of machined to keep the cost down. One of the upsides to near net shape forging is that it gives the piston added strength, since the features are being forged in. 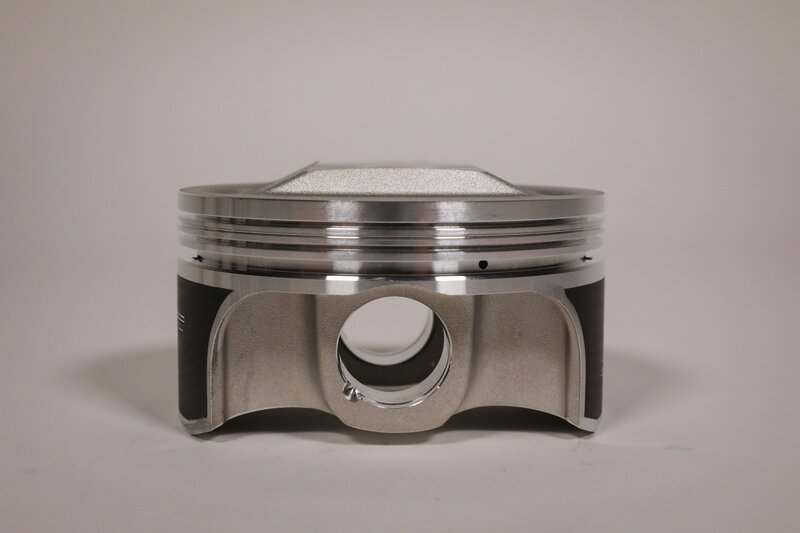 This process allows the aluminum to flow through the features of the piston with an aligned grain flow. That grain flow condenses the aluminum for better fatigue strength and overall durability. 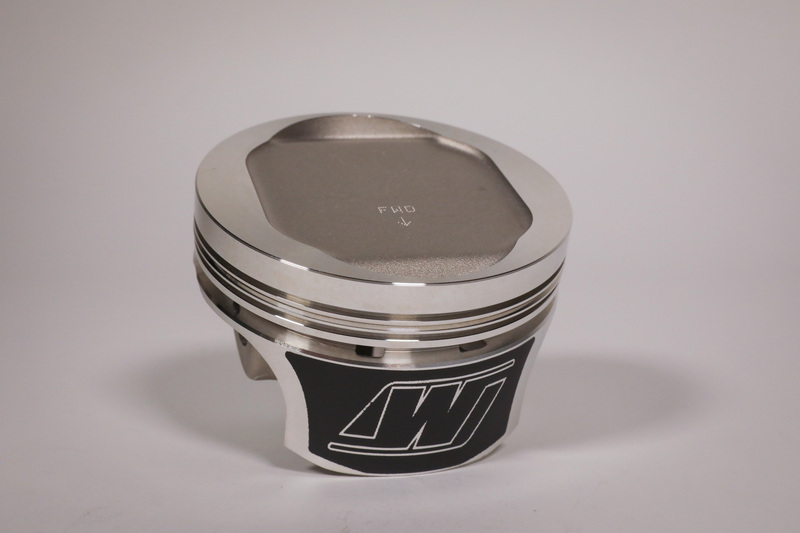 As with all Wiseco pistons, the forging process aligns the grain structure of the aluminum to provide improved tensile strength. The other upside, of course, is found in the cost of near net shape forging versus the combined forging and machining needed for the Black Edition series and ArmorPlating-featured pistons. Those cost savings trickle directly down to the consumer. A Tracker series piston is roughly $80-$100 (at retail value) less than the higher price-point offerings. Aside from outstanding durability and a very attractive price-point, the Tracker series piston has a secret weapon in the performance department. ArmorGlide is Wiseco’s solution to reducing friction, and is applied to the skirt. Wiseco takes it a step further by emblazoning their logo into the dry-film lubricant. ArmorGlide skirt coating is a propietary dry-film lubricant designed to reduce friction and operation noise for the life of the piston. 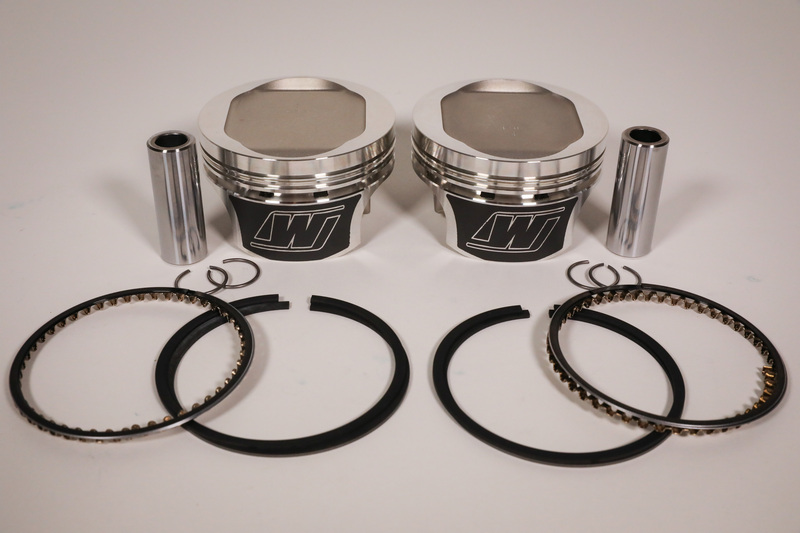 A new, high-tension 3mm oil ring set is supplied with Tracker pistons for Twin Cam, Sportster, and EVO models. Oil consumption control is an important performance aspect in the V-Twin field. It pays to know your audience. Wiseco found that the majority of V-twin owners wanted to not only increase the displacement of their engine, but also raise compression. The Tracker series pistons accomplish both. One of the most popular Twin Cam kits--the overbore to 103ci--is available through the Tracker Series in multiple compression ratios. Pictured here is 10.5:1 CR. If you have an EVO generation engine, then relish not only in the fact that you’re wielding a quintessential big twin Harley powerplant. 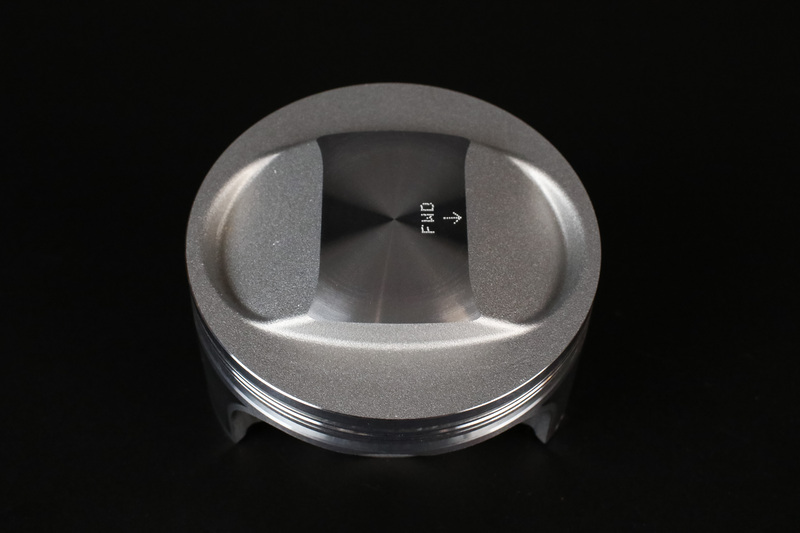 Thanks to the Tracker piston, you have the choice between a flat top or a domed piston. 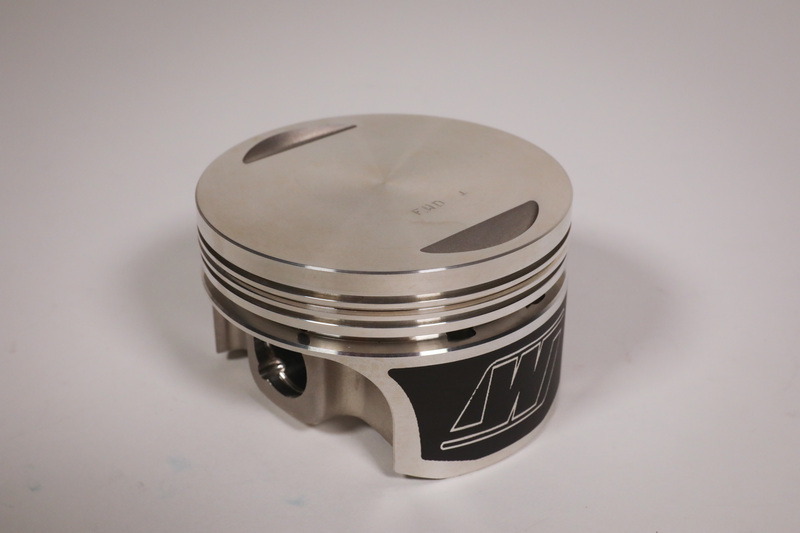 The flat top piston has an 8.5:1 compression ratio, which is for a standard application. 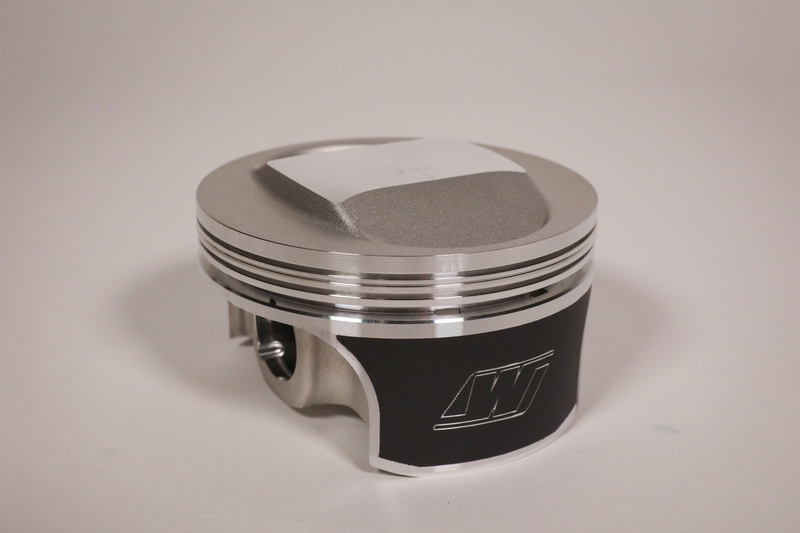 The domed piston is the higher performance offering, with a beefy 10:1 ratio. This option is for the rider who really wants to build a hot rod. Go big or go home! Riders with the EVO powerplant have Tracker options as well: a stock compression 8.5:1 (shown here) and a 10:1, for all the power. Believe it or not, Wiseco’s number-one selling piston in the V-twin realm is the Sportster big-bore piston kit. It takes the stock 883cc engine up to 1200cc. That’s a lot of power for a small-scale package. Upsizing offers a nice increase in performance. The customer has the choice of stepping up to a slightly higher 9.5:1 compression ratio, or going whole-hog with the 10:1 ratio. The latter option is preferred in the burgeoning Flat Track series. Leather-clad warriors are hopping on the bandwagon, building Hooligan bikes, and pitching a 1200cc engine sideways. Bumping up an 883 Sportster to 1200ccs is a popular mod among Sportster riders. 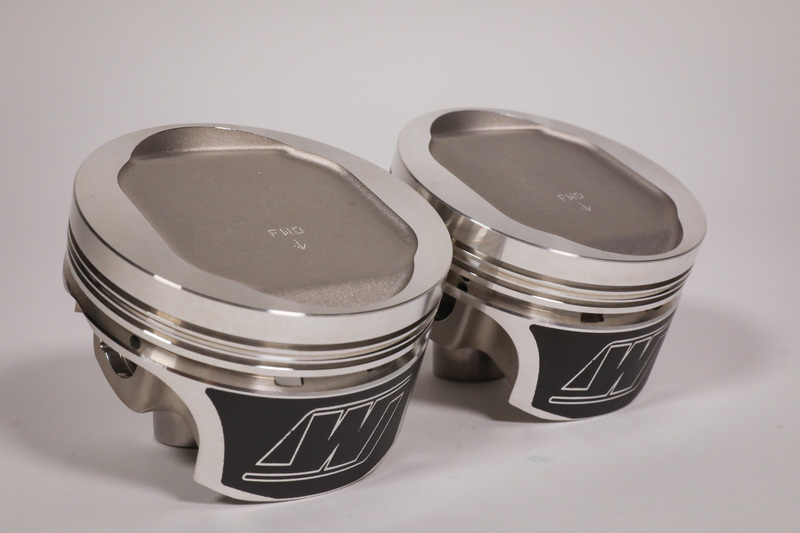 Tracker pistons are available for these kits in both 9.5:1 and 10:1 compression ratios. 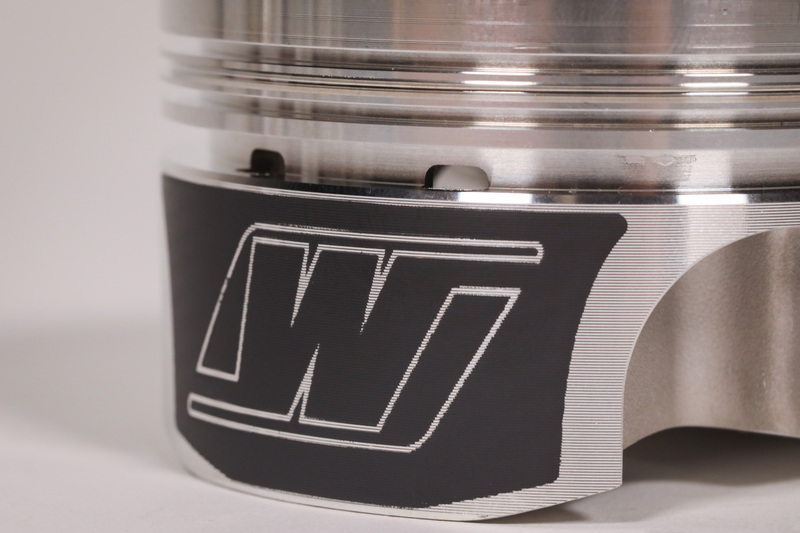 Wiseco’s engineers made a checklist of must-haves when developing the Tracker series piston. Trusted Wiseco quality, performance, and lowering costs to the consumer were the three focal points, and all three boxes were checked. The Tracker series is Wiseco’s solution for Harley-Davidson fans, regardless of whether they’re summoning the American spirit of a 1986 Sportster or a new Twin Cam 96 engine. Wiseco Tracker Series provides a featured performance piston that improves reliability for less-than-premium price point. Tracker piston kits come complete with wrist pin, rings, and circlips.